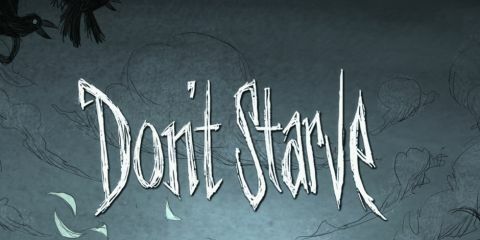 Don’t Starve. Those two words are not only the title of Klei Entertainment’s PC survival game, but also the only word of advice you’ll get when it comes to staying alive. The game is a quintessential survival game that mixes unforgiving roguelike elements to create a title that gives you the freedom to play it as you want but also ruthlessly punishes you when you die. You’ll enjoy roughing it out in the middle of nowhere, but just remember not to starve--or die, for that matter. Visually, Don't Starve resembles a children’s picture book begging to be read. Despite its childlike visage and hand-drawn art style, the game features gothic, Tim Burton undertones in its designs, making the world feel mysterious and dangerous as you’re out exploring. You’ll encounter strange monsters like one-eyed birds, humanoid pigs, and anthropomorphic trees that remind you to always be on guard. Its eerie, calming soundtrack also complements the feeling of being alone in a world where anything can kill you at a moment’s notice. "Despite its childlike visage and hand-drawn art style, the game features gothic, Tim Burton undertones..."
Lacking any real story or specific goal, the game drops your character onto a randomly generated world and gives you the task of keeping him alive. You will need to use your environment to collect resources like rocks and twigs that let you make tools and items necessary for survival. You’ll create animal traps to catch prey, weapons and spells to fend against rabid beasts, and structures that give you protection during the cold wintry nights. Plus, you can even set up your own farm and plant crops to hold you over when meat becomes scarce. Its sandbox-oriented features give you the freedom to do what you want and make the game feel like a very personal experience. Despite its relaxing aspects, Don’t Starve is mainly a game of urgency and survival where you need to manage your time and resources in order to live. The game doesn’t tell you what you should do nor does it provide any instructions or tutorials, and so you will need to figure things out on your own. Making it through even just your first couple of days can be difficult, but the game rewards curiosity and creates an experimental environment where you’ll often die a few times learning how things work. Not only are you teaching yourself how to play, but you’re doing it without anyone’s help--and that is a good feeling. "Making it through even just your first couple of days can be difficult..."
As with most roguelike games, once you die you are forced to start from scratch and your next world is randomly generated. This helps each game session feel a bit different from the previous one as maps come with their own unique set of creatures, supplies, and resources forcing you to create new tools or juggle your supply count differently than before. Your progress may have been lost, but you at least gain some knowledge of how things work and can use those skills to better your next playthrough, making each day you manage to survive through feel even more rewarding. Each time you die, you also get experience points depending on how many days you managed to survive, and these are used to unlock additional characters to play as. These characters come with a few added abilities like fire immunity or extra health, so they slightly affect how you play without changing much of the gameplay. Some characters you unlock can actually make surviving even more challenging. You can also change the game’s settings and customize your world to your liking, decreasing or increasing the amount of resources in your map or altering the passing of time and seasons. The game still won’t hold your hand, but you can at least make it easier and more accessible to play, especially if it’s your first foray into the genre. Sandbox mode doesn’t contain an ending, so you can survive for as long as you want just as long as you don’t mind the game’s repetitive nature, especially if you’ve had to die a dozen times to get to where you are. One quick lightning bolt to the head can easily end your months of survival, so the game isn’t without its frustrating moments. You have plenty of things to craft and a branching system of tools, spells, and even armor to make as well, but its monotonous nature can start to get dull after a while. "If you’re looking for a roguelike game filled with charm and challenge, be sure not to miss Don’t Starve." To give the game more structure and give you some goals to aim for, Don’t Starve also includes an Adventure mode that offers challenge maps to complete. You still need to make sure you don’t starve, but the game revs up the difficulty even more by throwing hardships like low resources, permanent winter, and even darkness for you to overcome. Whereas before your main concern was eating, these challenges focus on time management and how well you can exercise the survival skills you’ve learned up to that point. The maps are tough and cruel at times, but that’s what makes clearing them so gratifying. Don’t Starve starts off slow and punishing and continues to get even harder as you play. Its merciless difficulty coupled with its monotonous gameplay can leave some players feeling frustrated and bored. Those who enjoy a good challenge, however, will relish in the satisfaction they’ll get when they manage to outlive their previous record or clear the game’s evil Adventure mode. It may not be for everyone, but if you’re looking for a roguelike game filled with charm and challenge, be sure not to miss Don’t Starve. Just grabbed Don't Starve for your PS4? Check out our survival guide. Description An Uncompromising Wilderness Survival Game Full of Science & Magic!